Boca Raton, FL, June 14, 2018 – Cendyn, the leading provider of hotel CRM and sales platforms, announced the next-generation release of its Cendyn eNgage guest intelligence solution. Advancements include enhanced user interface, reporting, rules engine and personalization options. 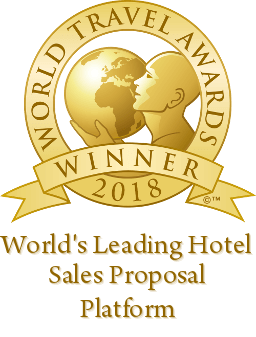 Used in conjunction with Cendyn’s eInsight hotel CRM, eNgage sits on top of a hotel’s property management system or call center application, intelligently guiding staff to create authentic, meaningful encounters and upsell offerings based on guest history, preferences and loyalty status. The lightweight application can be accessed on any device and features configurable messaging prompts and data displays. Like all Cendyn products, eNgage integrates seamlessly with your other hotel systems, utilizing an open architecture that ensures the accuracy and completion of guest information for all team members at every touchpoint in the guest journey. Cendyn is a cloud-based software and services provider that develops integrated technology platforms for driving marketing, sales and event performance in the travel and hospitality industry. The Cendyn Hospitality Cloud offers the most complete set of innovative software and services in the industry, covering hotel marketing, guest engagement, group sales and event management. With offices in Boca Raton, Atlanta, Boston, San Diego, Toronto, Whistler, London, Munich and Singapore, Cendyn proudly serves more than 30,000 hotel clients in 143 countries with enterprise spend levels in excess of $1 billion.